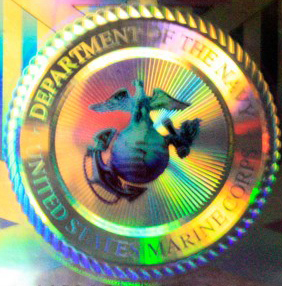 Perfect to mount on your wall, an award presentation, your vehicle grill, motorcycle or wherever you want to show your Marine Corps spirit. Add that finishing touch to any room with one of these high quality, all metal emblems! USMC Marine Corps Bumper Sticker 3rd MARINE DIV. PROUDLY SERVED 6 1/2"